Time to cowabunga your way into a music video about the Teenage Mutant Ninja Turtles! Yup, given that there’s a new Teenage Mutant Ninja Turtles movie, and that it opens this Friday (August 8), there’s never been a better time to set these ninja moves to harmonies. Get amped for the Michael Bay-directed movie by watching Pentatonix’s musical ode to the film in the form of the song and video for “We Are Ninjas.” The video premiered tonight on MTV and you can watch it below for sweet harmonies about pizza, saving the day and some seriously choreographed dance scenes. The whole thing was filmed at Paramount Studios, so how did they achieve the street-like feel? Plenty of fog, streetlights and filming at night. 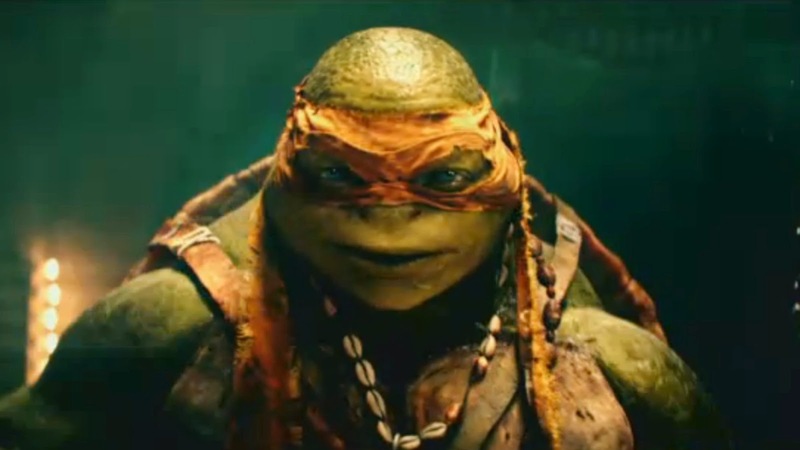 “The ideas is we’re kind of riffing of the turtles,” said director Melissa Bolton-Klinger in a behind the scenes clip. Dark alleyway scenes, kind of West Side Story meets ninjas.” Sounds about right! BRB, ordering a pizza and loading up old episodes of TMNT on Youtube to prepare. Maybe the mutants will head to Broadway next? If so, Pentatonix should definitely be involved so we can have more odes to pepperoni.